Fun foam, construction paper, lace, etc. 1. 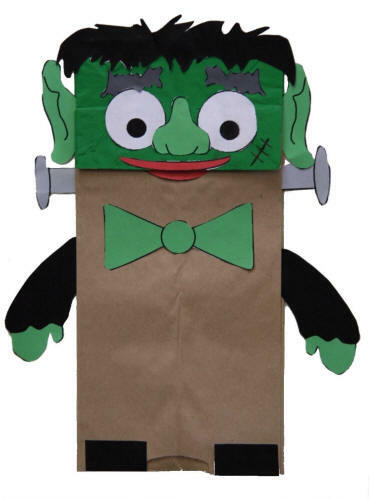 Draw a Halloween face on the flap of the paper bag. Under the flap you can put a tongue and teeth. 2. Decorate the rest of the bag to match the face using markers or crayons, glitter or other supplies. If you use glue, let dry before using. 3. Make up a creepy Halloween story to share with your family.